Arsenal had been beaten by Pep Guardiola’s clinical defending champions on the opening week, but Emery would’ve been hopeful of a result against Chelsea- a team against whom the Gunners have enjoyed success, and like them, only just settling into a new system under a new manager. Emery’s only previous competitive visit to Stamford had been during his tenure as Valencia manager, with Los Che losing 3-0 to the Blues seven years ago. Arsenal’s Spanish gaffer made two changes from Round 1, bringing in Nacho Monreal at left back for the injured Ainsley-Maitland Niles, and bringing in Alex Iwobi for Aaron Ramsey. Iwobi starting allowed Mesut Ozil would be free to play in his preferred No.10 role. It also meant another start in midfield for young Matteo Guendouzi, easily one of Arsenal’s better players against City. After a cagey start, Chelsea opened the scoring, and it underlined Jorginho’s potential and his importance to Sarriball. Poor Hector Bellerin’s defensive frailties were exposed by the former Napoli man’s long pass. Alonso got on to the end of it, and another pass to his Spanish compatriot Pedro allowed the latter to slot in. In the 19th minute, Chelsea made it 2-0, with Morata taking hold of a long ball from Azpi and holding off the opposition defenders before scoring. Again, questions were to be asked about Arsenal’s defence and their positioning. The Gunners however did find some mileage going forward and both Aubameyang and Mkhitaryan missed chances that a player of their quality should’ve buried. They eventually pulled one back through Mkhitaryan- a drilled low effort from distance that was probably the toughest of their chances till then. 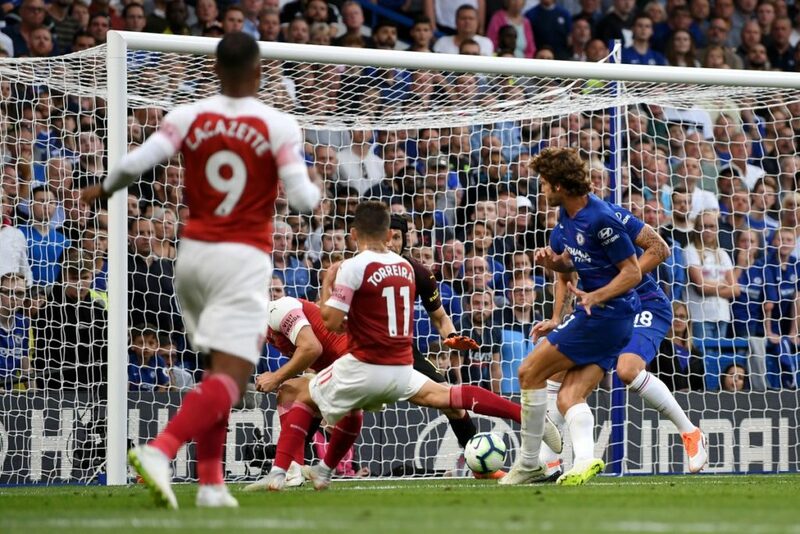 Four minutes later Iwobi made it 2-2 from a Mkhitaryan pull back- Arsenal were finding plenty of spaces in the wider channels and Chelsea looked vulnerable at the back. Aubameyang and Iwobi were guilty of further misses, and Arsenal should’ve probably been 4-2 ahead at the break. 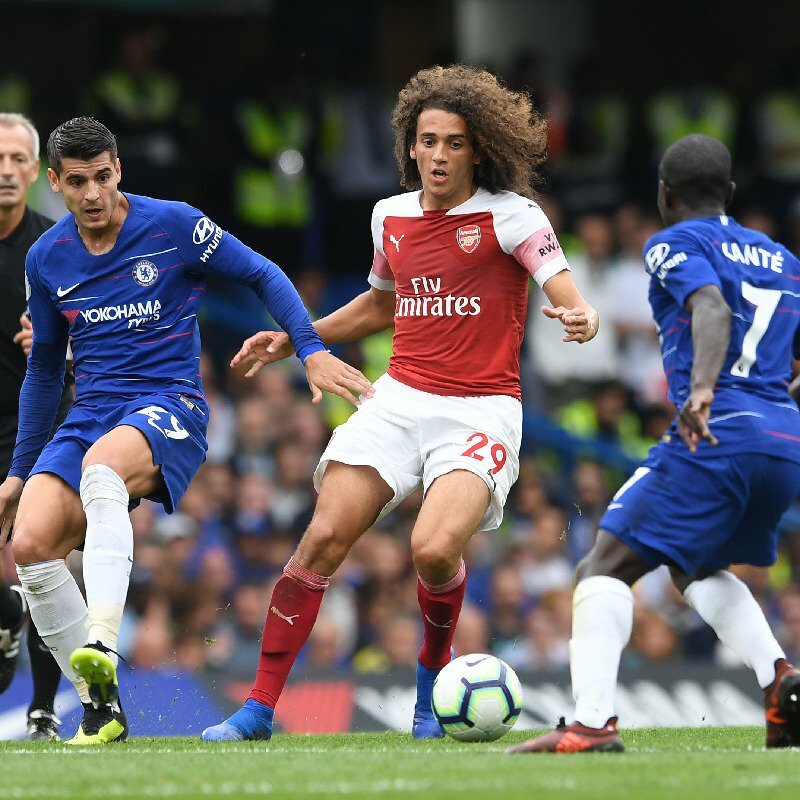 The Gunners however seemed to lose their intensity in the second half and Chelsea snatched victory through Alonso’s late goal. Kovacic and Hazard were both introduced in the second half, and the Blues held on for their single goal win. Next up for Arsenal are West Ham, who like the Gunners, turned in a flat second half performance and lost 2-1 to Bournemouth. Both teams are 0/2 going into the third week. Arsenal have not lost the opening two games of their league season since 1992, and there’s lots of work for Emery to do.